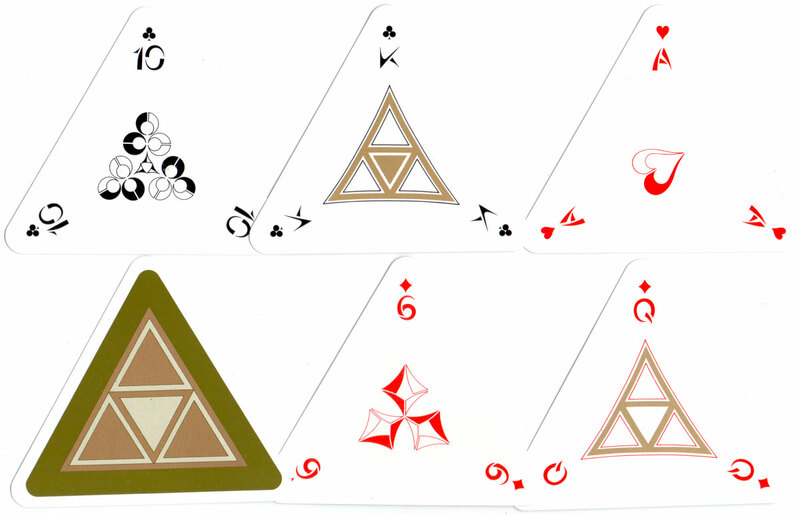 Instead of depicting human figures, the courts of all four suits have the same primary design, while each suit has a different deltoid design in the center of the card. Each ace has a single image based upon the traditional English suit index but modified in Professor Ali’s own Deltaism style. The deck was produced in an olive-green and in a burgundy based colour background. 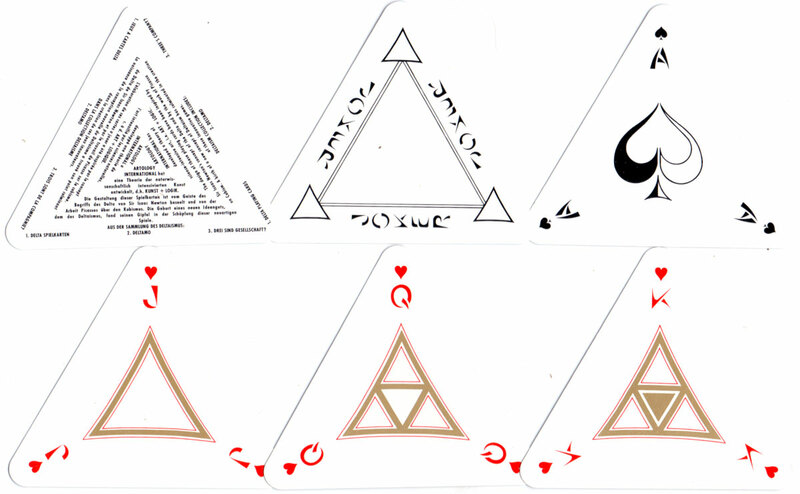 Above: Delta playing cards, invented by Professor Manzoom R. Ali of “Artology International”, c.1988. In addition to poetry writing, Professor Ali is also the inventor of the Deltar, a musical instrument, as well as starting an art movement called Deltaism. Cards courtesy Jukka Kettunen. Research by Matt Probert.